Below you fill find all funeral homes and cemeteries in or near Thonotosassa. Thonotosassa is also known as: Hillsborough County / Thonotosassa CDP. Zip codes in the city: 33592. It was revealed on February 3rd, 2019 that Bobby Jr Smith perished in Thonotosassa, Florida. Smith was 67 years old. Send flowers to express your sympathy and honor Bobby Jr's life. It was written on January 4th, 2019 that Amelia "Beva" Register (Rumore) passed on in Thonotosassa, Florida. Ms. Register was 94 years old. Send flowers to express your sorrow and honor Amelia "Beva"'s life. It was revealed on December 5th, 2018 that Monroe D Butler died in Thonotosassa, Florida. Butler was 81 years old. Send flowers to share your condolences and honor Monroe D's life. It was reported on September 28th, 2018 that Chester Christian perished in Thonotosassa, Florida. Christian was 75 years old. Send flowers to express your sympathy and honor Chester's life. It was revealed on January 18th, 2018 that Wayne E Hart passed away in Thonotosassa, Florida. Hart was 79 years old and was born in Detroit, MI. Send flowers to express your sympathy and honor Wayne E's life. It was reported on January 13th, 2018 that Beulah Lee Sams (Carter) perished in Thonotosassa, Florida. Ms. Sams was 95 years old and was born in Avant, OK. Send flowers to share your condolences and honor Beulah Lee's life. It was disclosed on January 10th, 2018 that Lucy Bell Phillips (Sammons) perished in Thonotosassa, Florida. Ms. Phillips was 79 years old and was born in Shellman, GA. Send flowers to share your condolences and honor Lucy Bell's life. It was written on January 7th, 2018 that Robert Cliston Pierce died in Thonotosassa, Florida. Pierce was 84 years old. Send flowers to express your sorrow and honor Robert Cliston's life. It was disclosed on November 19th, 2017 that Naomi Manley (Gause) passed on in Thonotosassa, Florida. Ms. Manley was 80 years old. Send flowers to share your condolences and honor Naomi's life. It was noted on October 12th, 2017 that Thelma Joyce miss Hughey passed away in Thonotosassa, Florida. Hughey was 73 years old and was born in Mount Vernon, IL. Send flowers to share your condolences and honor Thelma Joyce miss's life. 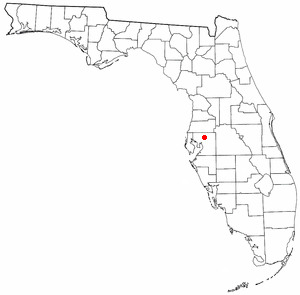 Thonotosassa is an unincorporated census-designated place in Hillsborough County, Florida County, Florida, United States. Following the end of the Second Seminole War in 1842, however, whites began to settle. . Despite this, the presence of a Seminole village largely prevented whites from moving into the area. In 1893, a line of the South Florida Railroad connected Thonotosassa to Tampa. Republican Rick Scott and Democrat Alex Sink are locked in a tight race for Florida governor ... duties as regulating funeral homes, overseeing the fire marshal's office and investigating insurance fraud. She lives in Thonotosassa near Tampa. Listing all funeral homes in Thonotosassa, Florida so you can easily send flowers to any location (same day delivery) or find any funeral service. Find BBB Accredited Funeral Services near Thonotosassa, FL. Your guide to trusted Thonotosassa, FL Funeral Services, recommended and BBB Accredited businesses. We work with local florists and flower shops to offer same day delivery. You will find budget sympathy flowers in Thonotosassa here. Our funeral flowers are cheap in price but not in value.